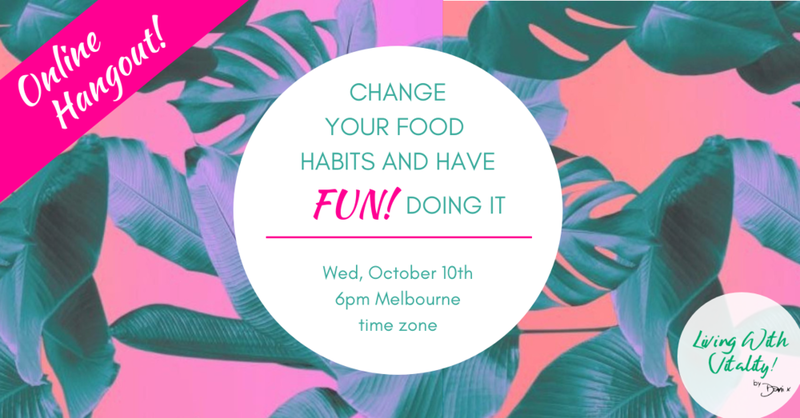 Online Hangout: Change Your Food Habits And Have Fun Doing It! CHANGE YOUR FOOD HABITS AND HAVE FUN DOING IT! Learn the key elements on how I kicked emotional eating to the curb and enjoy a LIVE Meditation usually reserved for my clients! Unable to make it at 6pm? Don’t worry! Everyone who registers will receive a link to watch the replay the next day! Hey you! Welcome to my Online Hangout - a place to connect and ask me questions as I share my key elements on how you can change up those die hard food habits - just like I did! Too many women I’m speaking to give in to the fridge frenzy almost every evening and it drives them crazy with frustration. They've tried everything under the sun to stop doing it - yet nothing works for longer than a couple of days and they're starting to give up hope. You see - it’s not about the food and that’s what women focus on - the end problem and not the factors behind why they’re turning to food. So join me as we go through some fun and refreshing ways to nip emotional eating in the bud so you feel more calm in your day and stop turning to food as your crutch. Make the most of this Online Hangout to ask me questions on how I navigated through changing those miserable habits and stick around until the end to receive a LIVE Meditation usually reserved for my clients. In This online hangout, you will learn..
🙏 PLUS - A LIVE Meditation To Move You Into A Calmer You To Get The Results You Want.. And You'll Stay There! Meet some amazing women who are now living with vitality! register for the online hangout and learn how you can kiss goodbye the self-sabotage with food in a fun and refreshing way! are you ready to find out how i nipped emotional eating in the bud? Yes! I cannot wait to see you at the Online Hangout to see how you can smash self-sabotage, align your choices to feel good and have FUN doing it. Welcome to YOU! The woman you always were deep down. She's ready!